Two Tribes has announced that Swap This! will release on Nintendo Switch, an arcade-style puzzle experience that challenges you to swap coloured ice cubes anywhere on-screen. 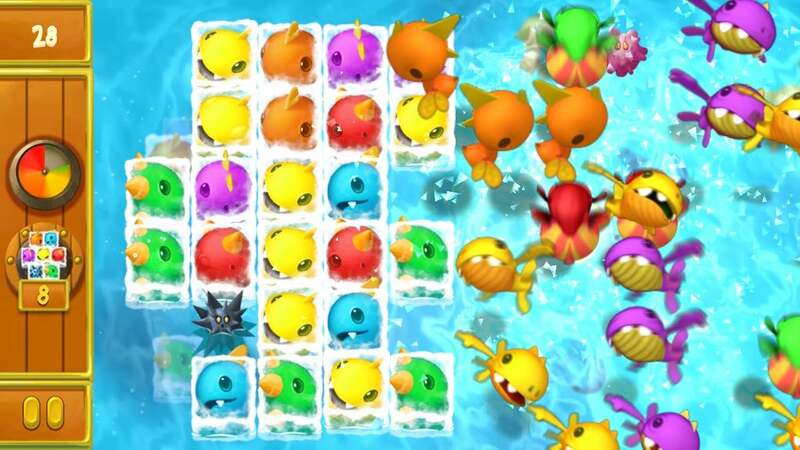 Success will require fast reflexes and tactical thinking, as you look to cause chain reactions to score screen-clearing combos, and use power-ups to beat up giant enemy fish. “More than 7 years ago, we decided we wanted to make a puzzle game that really challenged gamers’ skills. We felt this was lacking from the puzzle genre, and we still do,” Two Tribes explains. Swap This! will release on the Nintendo eShop for Nintendo Switch on November 2nd priced at €1.19 ($1.19), and is now available to pre-load. Melmetal Revealed As Meltan’s Evolution In Pokémon Let’s Go, Pikachu! And Eevee!